The University of Central Arkansas (UCA) Department of Occupational Therapy is saddened by the loss of Letha Joyce Mosley, PhD, OTR/L, FAOTA. While we were fortunate to work with Letha since 2005 at UCA, the entire occupational therapy community lost a great educator, advocate, leader, mentor, friend, and colleague. She passed away in her home on October 7, 2017. At UCA Dr. Mosley was best known for her efforts to create platforms for dialogue to advocate for and bring about change for students and individuals from underrepresented populations. She created the Student Caucus for Diversity in Occupational Therapy and served as a leader in the university’s Diversity Advisory Committee. Similarly, her research and service focused on addressing health disparities by merging occupational therapy perspectives with community based participatory research to plan, develop, and evaluate faith-based programs and community programs for health and wellness. Recognized for her dedication and service in these areas, Dr. Mosley was inducted to the Roster of Fellows of the American Occupational Therapy Association in 2008 for Excellence in Education and Addressing Health Disparities and named winner of the UCA Public Service Award in 2013-2014. Taking the role of occupational therapy educator to heart and with great passion, Dr. Mosley devoted her career to ensuring the students of today were prepared for the demands of the health care environment. 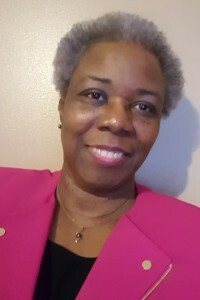 Whether serving in leadership roles in numerous departmental, college, and university committees, teaching students in a classroom, or mentoring students one on one, Dr. Mosley dedicated her career ensuring students were not only prepared but pushed them to recognize and fulfill their potential. Her commitment to education was not limited to the classroom. Dr. Mosley devoted much of her professional career to the Accreditation Council for Occupational Therapy Education where she began her service in 1996 as a member of the Roster of Accreditation Evaluators and most notably as chairperson from 2009 to 2012. Dr. Mosley earned her Doctor of Philosophy in Adult Education and Interdisciplinary Qualitative Studies Certificate in 2005 from the University of Georgia; a Master of Education in Instructional Psychology and Technology in 1993 from the University of Oklahoma; and a Bachelor of Science in Occupational Therapy from Oklahoma University Health Sciences Center in 1980. Prior to coming to UCA in 2005, Letha taught at the Medical College of Georgia, Oklahoma University Health Sciences Center, and Kansas University Medical Center. Dr. Mosley was from a large family rooted in Oklahoma. She was a member of the Greater Pleasant Branch Missionary Baptist Church (GPB), Director of the GPB Health and Wellness Ministry and was in the GPB Mass Choir. She was on the Board of Directors of the Pine Street Community Development Center, Incorporated. A member of Delta Sigma Theta Sorority, Inc., she enjoyed traveling throughout the United States and abroad, was an avid sports fan, and a computer-whiz-want-to-be. Recognized by the American Occupational Therapy Association as one of the 100 people who influenced occupational therapy’s centennial year history, it is clear that Dr. Letha J. Mosley’s contributions made a lasting impression on those she taught, mentored, and worked alongside. Dr. Mosley and her family have requested that memorial contributions be made to the Dr. Letha Joyce Mosley Diversity Scholarship.